Buy 10 or more for $7.49 each. 24 Studies for Individuals and Groups - We call the book "The Acts of the Apostles," but we should think of it as "The Acts of Jesus: Part Two." 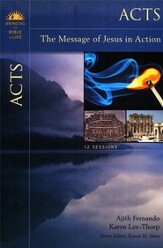 These studies help us to do so, and to see how Jesus' acts through the apostles inform and empower our acts today. Thoughtful questions, prayer suggestions, and useful background and cultural information all guide you more deeply into God's Word. 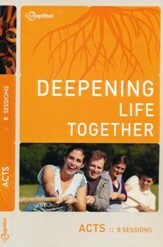 Use on it's own or alongside the Acts for Everyone commentaries by Wright. The guides in this series are designed to help you understand Scripture in fresh ways under the guidance of one of the world's leading New Testament scholars. Thoughtful questions, prayer suggestions, and useful background and cultural information all guide or a group more deeply into God's word. They can be used on their own or alongside Wright's New Testament for Everyone commentaries. Discover how you can participate more fully in God's Kingdom. The mysterious presence of Jesus haunts the whole story of Acts. Jesus is announced as King and Lord, not as an increasingly distant memory but as a living and powerful reality, a person who can be known and loved, obeyed and followed, a person who continues to act within the real world. 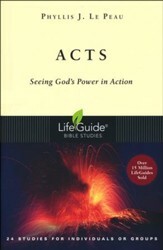 We call the book "The Acts of the Apostles," but we should think of it as "The Acts of Jesus (II)." 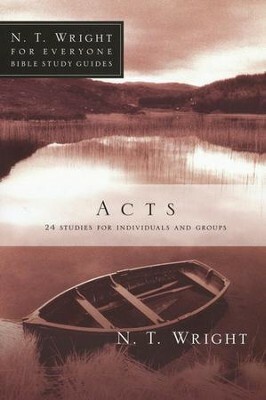 These studies from Tom Wright help us to do so, and to see how Jesus' acts through the apostles inform our acts today. A prolific writer of both scholarly and popular books, N. T. Wright has written over thirty books, including and the magisterial . His N. T. Wright For Everyone Series includes commentaries covering the entire New Testament. Formerly bishop of Durham in England, Wright is research professor of New Testament and early Christianity at the University of St Andrews in Scotland. He was formerly canon theologian of Westminster Abbey and dean of Lichfield Cathedral. He also taught New Testament studies for twenty years at Cambridge, McGill and Oxford Universities. He has been a visiting professor at Harvard Divinity School, Hebrew University in Jerusalem, Gregorian University in Rome and many other institutions around the world. In addition to his many books, Wright reaches a broad audience through his frequent media appearances. A sought-after commentator, Wright writes frequently for newspapers in England, including the and the He has been interviewed numerous times by radio and television broadcasters on both sides of the Atlantic, including ABC, NBC, CNN, PBS and NPR. Dale Larsen is a writer living in Rochester, Minnesota. He and his wife, Sandy, have written more than thirty books and Bible studies together including and more than ten LifeGuide® Bible studies. They have also coauthored eight N.T. Wright for Everyone Bible Study Guides with Wright. Sandy Larsen is a writer living in Rochester, Minnesota. She and her husband, Dale, have written more than thirty books and Bible studies together including and more than ten LifeGuide® Bible studies. They have also coauthored eight N.T. 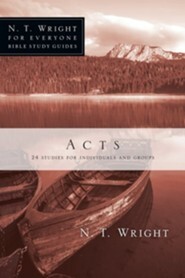 Wright for Everyone Bible Study Guides with Wright. I'm the author/artist and I want to review Acts: N.T. 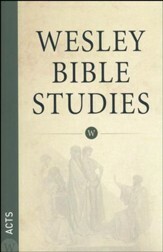 Wright for Everyone Bible Study Guides.